What do networked organisations mean to busy educators? This forum will discuss the potential for communities of learning (and the use of technologies) to help raise student achievement. This conversation will take place in the Professional Learning group. Coding – Information about coding with simple tips for getting started in the classroom. Digital fluency – Explaining digital fluency and school stories demonstrating how to develop this competency in the classroom. Looking forward to seeing and hearing more from you over the next few weeks. Each pānui, we like to say thank you by nominating a community member for active participation in the Enabling e-Learning / VLN Groups. In this edition, we’d like to acknowledge Tony Cairns. Tony is a proactive, prolific contributor to teaching and learning both in his own school context and online - VLN, Pond and beyond. Find out more about Tony In the Spotlight - Tony Cairns or visit https://about.me/tonycairns. identify ways to support your staff, students and community to explore the role of digital technologies in their daily lives. Involving your community in curriculum design: Catriona Pene announces an #edchat event where educators share how they’re collaborating with their communities when designing their local curriculum. Dive in and be a part of this live series in Twitter. Building Digital Connections with your Community: Viv Hall shares how schools are using social media to collaborate and communicate with parents and whānau and asks, how has your school engaged with your school community using social media? FORUM: New technologies and collaborative processes | An Enabling e-Learning event: Carol Dickinson makes a case for collaboration and highlights some key trends, theory and shares personal experiences about how to best use new technologies to support the collaboration process encompassing the learner, school staff and the community. A powerful read. Any more experiences of your own to share? Collaborative projects for NZ students: Community members share examples of how students are collaborating online and off and reflect on the benefits of how peer to peer learning is growing student agency. Online Teacher Planners (getting rid of the black folder!) Charlotte Hills asks if it’s possible to link an assessment doc from each student's widget inside Teacher Dashboard, viewable as tabs. Can anyone help Charlotte with this query? Garden Bird Survey - who's in your backyard? 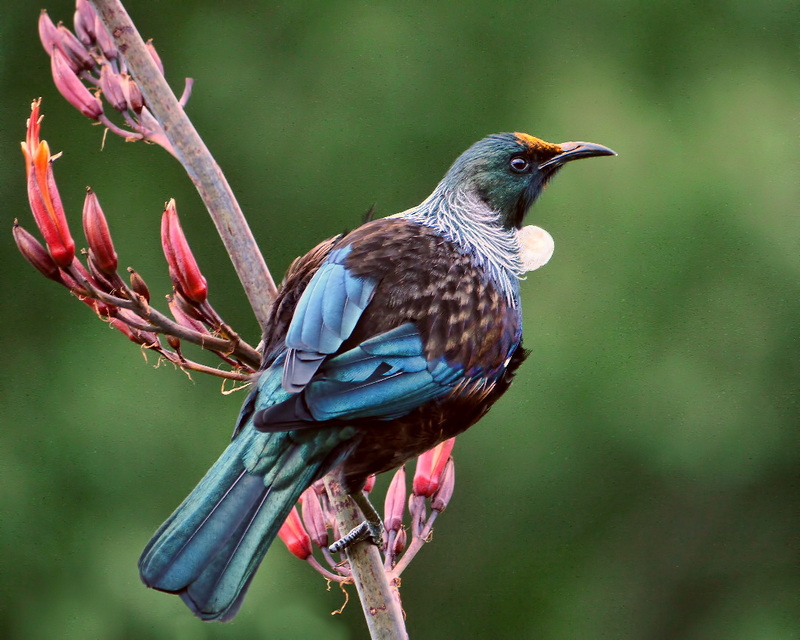 Shelley Hersey promotes a LEARNZ event where students can learn more about common garden birds in NZ. You are invited to register and enroll your students in more field trips like this. Student Led Conferences: Jacinda Panther is asking for some advice about how to best talk with parents/whānau about their child’s learning in a collaborative teaching arrangement. Any ideas would be appreciated. Android apps in te reo Māori: Denise shares some useful Māori language apps available for teaching and learning. Have you used any of these apps, if so what were the results? The strategic thinking roadmap: A webinar hosted by the Connected Learning Advisory shares how and why the Strategic Thinking Roadmap was created. The slides and webinar recording are also available in this link. Why are innovator’s mind-sets and in-depth collaboration and cooperation crucial in resourcing ILEs? | NAPP Kōrero 6 2016: In this thread, NAPP participants and community members share some rigorous insights into what makes for collaborative and innovative practice. The thought leadership in this thread, is just too good to miss. What is collaborative inquiry? Andrea Tapsell shares how the teams in her school are engaging in collaborative inquiry around writing, where one teacher is looking at clarity around learning outcomes while another is looking at reflective practice. Andrea also highlights the many benefits for working this way. Do you and your colleagues engage in collective reflection? Forum: How do schools ready themselves for modern learning pedagogies? Robyn Shears and other school leaders are actively sharing current research, theory, experiences and outcomes associated with implementing ILEs and modern learning pedagogies. Does what they share resonate with you? Why not let them know how. BYOD research on science teacher instructional design: Julie Mclaughlin shares how engaging in this research project has enabled her to reflect on her practice in regards to using BYOD and now wonders what other professional development, research or readings are out there to help implement BYOD more effectively. Scratching our heads for ideas with Scratch! Luke and other community members are generously sharing some creative ideas for using a Makey Makey kit and Scratch. Any other recommendations for 9 year olds? Robotics and different contexts: Warren Grieve reboots this thread by sharing how using his students are using mBots, Dot and Dash in their school. Anyone else using robotics to encourage logical problem solving? TV's vs. Data Projectors in Classroom: Catherine's school is replacing the data projectors in the classrooms and wants to know whether they should updates these with more data projectors or TVs. What works best for you? Using e portfolios to teach junior students ICT skills: whaeasarah is looking at doing some research next year into how to implement an ICT plan across the years 1-6 to teach children 21st century skills. Sarah asks if anyone else had much experience with introducing ICT for learning to junior students? App Sharing: Allanah King shares some resources on Writeabout – a digital writing community for classrooms where students engage in the phases of writing in a public space. Great for both reluctant and prolific writers. Check out the Enabling e-Learning Calendar of Events for Term 2 and feel free to add the calendar items to your own calendars. Enabling e-Learning webinars: On this page, you'll find the recorded webinars from 2011 to current. These include using digital resources, digital learning spaces, BYOD, iPads in junior classes, registered teacher criteria, appraisal and e-learning, getting to know our learners, MLEs, gaming and many more!